DO YOU HAVE IMPORTANT FILES ON A FLASH DRIVE? I have spoken to three people in the last three weeks with crashed (dead) flash drives. Unfortunately no one had a backup of their flash drive. Two of the three people told me, “The flash drive was my backup.” We all make mistakes, but think about the name “FLASH” drive for a moment. Does that bring thoughts of everlasting toughness to your mind? I don’t think so. Memory Type – Flash drives write data (your files) to what is called NAND memory. The more you write and read files from a flash drive, NAND memory will start to produce errors. The more NAND memory errors you have, the harder it gets for your flash drive to find your files. On average, USB flash drives are good for about one hundred thousand reads\writes. Failed Solder Joint – The solder joint holds the USB connector in place. The USB connector is the part of the flash drive that you stick into the computer. Due to normal wear and tear or bumping the drive when it is in the computer may break the solder joint. Once this happens your computer will not recognize the full capacity of your USB drive and will probably not be able to find all of your files. There are times when the drive will not be recognized at all. USB Connector Breaks Off – Some USB flash drives are made better than others. With any flash drive, if you walk by your computer and clip the drive while it is in the computer, the connector just might break off into the computer. I have also seen drives that get stepped on and the USB connector is bent and will no longer fit into the computer. Data Corruption – Would you constantly turn off your car while it is drive? You should never pull a flash drive out of a computer without properly ejecting it. Always use your operating system’s safe eject feature before removing your drive from the computer. 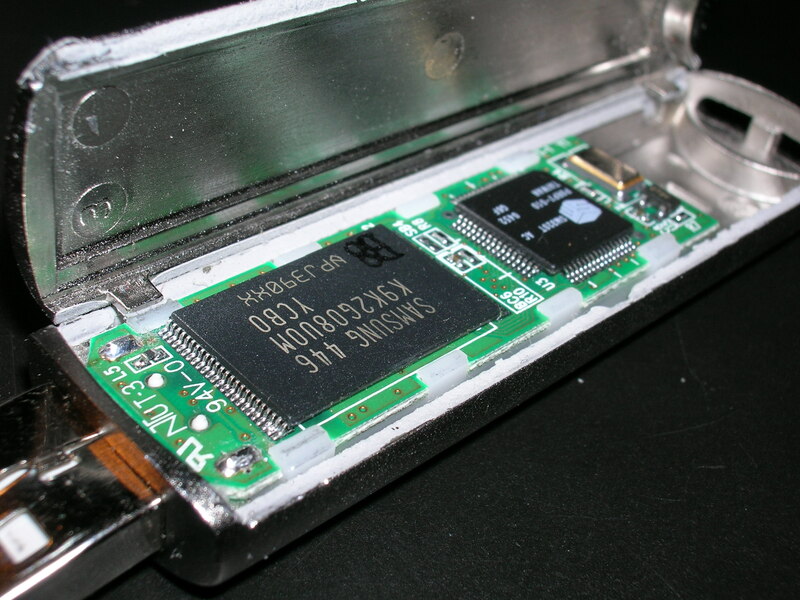 Cheap & Poorly Made Drive – Some people say all USB drives are created equal. In my experience, SanDisk USB drives have been the most reliable. I have washed and dried (due to leaving it in my pants pocket) my SanDisk USB Flash Drive three times and it still works fine. If your computer is not recognizing your drive, there are times when SLIGHTLY tilting the drive up or down may do the trick. There are many tutorials on the Internet that will show you how to take a drive apart and possibly get it to work again. Data recovery businesses can retrieve your data from your dead drive, but they are expensive with prices starting at $450. I think the easiest solution is to have a current backup of your USB drive. « FREE APPS – IS ANYTHING REALLY FREE?